Yes, he really does. Last week he compared Pope Francis' activities to the French Revolution, and in response to a letter pointing out the tastelessness of of the analogy he digs himself a lot deeper into his hole. Here is the letter, from the well-known Catholic barrister Neil Addison. Even by his own standards the suggestion by Mgr Basil Loftus (19 October) that he looks forward to "a Franciscan revolution to eclipse in drama and extent the French Revolution" is bizarre. The French Revolution was the cause of the death of thousands judicially murdered in the reign of terror. 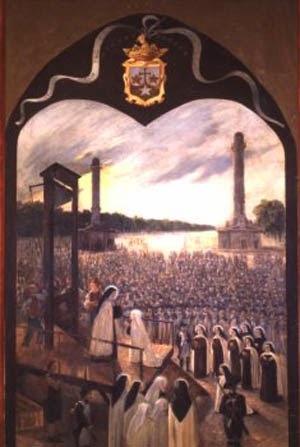 The Carmelites of Compiegne were guillotined simply for being Nuns and they are merely the best known of the thousands of Catholic Priests, Nuns and believers who were also sent to the guillotine solely for the crime of being practising Catholics. Besides the reign of terror the Revolution led to massacres in the Vendee and other regions of France and plunged Europe into thirty years of war and destruction stretching from Madrid to Moscow. Is that seriously the "drama and extent" Mgr Loftus wishes on the Church and the world ? 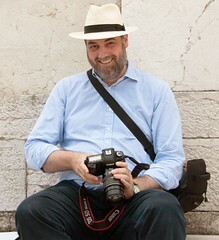 If Citizen Loftus wishes to praise the French Revolution as a model to be followed then he has of course got the liberty to do so but it is a desecration of the memory of the numerous Catholic victims of that revolution for such praise to be uttered by someone who claims the title of Catholic Priest. In line with their usual policy, the Catholic Times has afforded Mgr Loftus considerably more space to reply than the original letter, not in his column but in the letters page itself. This is only part of it, excluding the first third. Yes, the violence of the few did degenerate into the madness of the many, but the French Revolution inspired a continent-wide socio-political revolution of which both Church and State still feel the beneficial effects and, no less importantly, are still building upon. It is also necessary to recognise that the violence against elements of Catholicism was to no small extent occasioned by the manner in which the institutional Church had identified itself with an oppressive regime which denied basic human dignity to that vast majority of humankind, which had neither civil nor ecclesial rights. Today, for virtually the first time, Pope Francis is making it possible for voice of every baptised man and woman to be heard in the Church. This would not have been possible without the progressive effects which the French Revolution inspired. The analogy is quite justifiable. The puerile attempt at personal vituperation is particularly demeaning in your correspondent as a professional gentleman. Not only is it lamentable in itself, but it also devalues the otherwise positive contribution which the letter affords as a springboard for further clarification which I am happy to make. The 'elements of the Church' persecuted by the Revolution included thousands of priests and nuns executed; religious communities of all kinds destroyed; the physical destruction of thousands of church buildings, and the desecration of others; the kidnapping of the Pope himself and the attempt to prevent the election of a new one after he had died as a result of his mistreatment; the creation of a schismatic sect in opposition to the French Church; the deprivation of millions of souls of the sacraments; the persecution of those laity who sheltered the priests who continued to serve them; and the massacre, amounting almost to genocide, of those who raised up arms in protest. Tell me, Monsignor, were there any 'elements of the Church' which escaped persecution of the most brutal kind? Shrine of Carfin. I expect he'd asked for it. 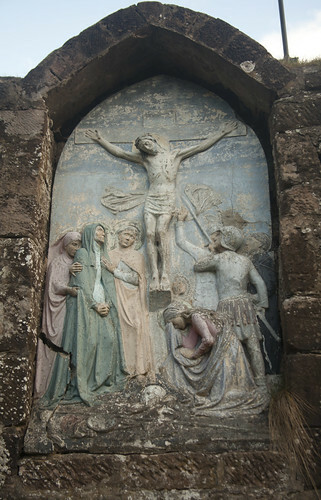 The martyrs of Compienge, and thousands of other Catholic religious and priests, the Catholics of the Vendee, were, really, asking for it, in the lead up to the Revolution? This is the kind of thing I would expect to hear from only from the most deranged anti-clericalist. One has to accept, in the end, that this is in fact what Mgr Basil Loftus is. He actually hates the Church, and above all those who Catholics who love the Church and seek to defend it against persecution and destruction. They are asking for it: if they end up the victims of a serious persecution, Loftus will be delighted. As for calling Mr Addison's letter a 'puerile attempt at personal vituperation', one can only comprehend this as an example of a person accusing another of what they fear they are themselves. If Loftus thinks his position is so secure, and enjoys the opportunity to write yet more hundreds of words than his usual helping so much, why does he feel the need to descend to such vulgar abuse? Well, he hasn't (yet) got onto Holocaust denial, I suppose. Various people in earlier posts have referred to "gradualism"
This is how gradualism works. The revolutionaries push a long way. Those in charge give a little. The revolutionary pushes a bit further and the leadership gives a bit more. The leadership needn't necessarily be the revolutionary though it can be and where it has revolutionary sympathies it certainly helps the cause. It seems that action is only being taken against those, Cardinal Burke for example, who are objecting to the revolution. Those in favour are being promoted. I am not sure that referring to Loftus as having dementia is correct. Either he, or someone behind (or just as likely above) him, knows exactly what they are doing. I do wonder thought whether we will see an increase in GPs at Latin Masses, pro-life meetings etc. After all, even if there are only 10 of us there, it's worth over £500 to the doctor and the state gets to silence us. Translated, what Msgr Loftus is saying is this: the ends justify the means, no matter how genocidal and indiscriminate the means are. Or, for that matter, no matter how incompatible the ends are with the teaching of the Church. P.S. Whatever the sins of the ancien regime - and they were manifold - it's simply absurd to maintain, as Lotus does here, that the "cure" wasn't much, much worse than the disease. Sadly Loftus is not alone in these views. An assistant priest in our parish holds a similar distorted view of Church history - welcoming not only the French Revolution but also the 1905 expulsion of the religious orders from France. Basically he would like to see the institutional Church destroyed and everything to be run by committees of laymen telling the priests what to do. He is a supporter of ACTA and no doubt would like to see a document called "A Sign we Give" implemented - forward by Bishop Crispian Hollis and it is believed Kieran Conry had a hand in writing it.